If something promises to keep stress at bay , face depression , help you enjoy more every moment of your life, improve your concentration … Would not you like to try it? These are just some of the benefits promised by mindfulness , a concept related to meditation that we have all heard about in recent years, since it became fashionable, but not everyone understands completely. The concept, rooted in Buddhist philosophy , gained popularity in the mid-1990s with the help of Kabat-Zinn Professor Emeritus of Medicine famous for having integrated concepts of yoga and other oriental disciplines in Western medicine. In particular, Kabat-Zinn defined mindfulness as “paying attention in a particular way, as a purpose, in the present moment and without moral judgments”. In theory, it is a way of knowing reality through direct experience without judging it. It would therefore be to carry out meditation processes to concentrate on the moment and present mental state , which can mean appreciating our surroundings, our emotions, our breathing … or simply enjoying every bite of a really delicious dish. 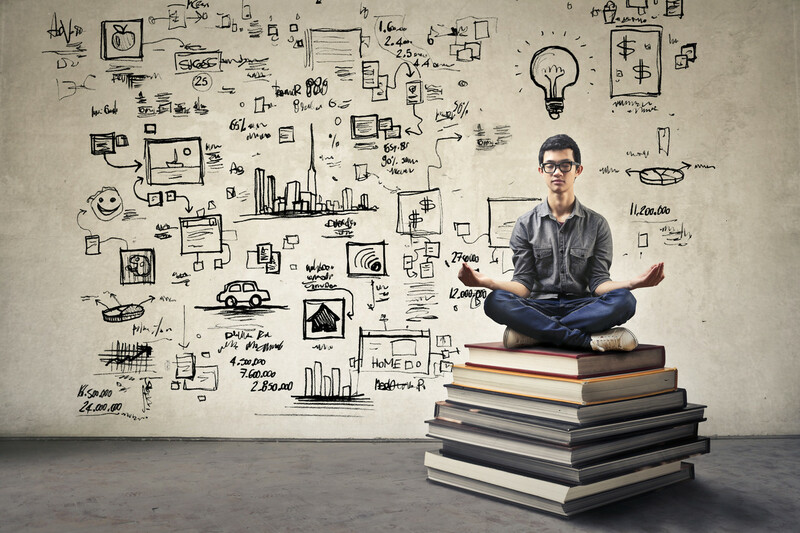 This has been associated with a series of psychological and health benefits that have made it a huge marketing success, which has led to organize master’s degrees, courses and corporate events in which mindfulnesstechniques are promoted and practiced . Today, as the psychologist Eparquio Delgado explains in this critical analysis, there is another approach to mindfulness that “moves away (at least, apparently) from those philosophical approaches to become a useful technique in the treatment of problems. psychopathological “. The supposed benefits of mindfulness are many and varied. The most commonly cited has to do with a general feeling of well-being that would come from learning to enjoy each moment without questioning it. But others are also mentioned (for example, in this Scientific American article ) such as the improvement of some cognitive functions and even the preservation of telomeres , the ends of our chromosomes that are reduced as we get older. There is currently a heated debate about the scientific validity of arguments in favor of mindfulness : is everything that it promises true? Is there evidence to support it? Or are we facing another pseudoterapia that only seeks to empty the pocket of those who trust in it? Is there evidence to support it? Or are we facing another pseudoterapia that only seeks to empty the pocket of those who trust in it? “Can we say that mindfulness has scientific evidence in its favor?” Yes, and that is undeniable, for that reason, it can not be considered a pseudotherapy or put in the same bag as other “oriental” techniques (or supposedly Orientals), such as reiki or foot reflexology , which have no scientific basis or have been sufficiently proven to be useful, “Delgado summarizes in his analysis. However, there is little evidence that the benefits of mindfulness go beyond reducing anxiety and depression in these types of patients. According to published Scientific American , many psychologists and neuroscientists point out that the fashion of mindfulness is faster than science , and they ask for caution because beyond their popularity, solid scientific data on mindfulness are scarce. According to some experts, the use of mindfulness techniques could bring some harmful effects . For example, it could highlight latent disorders of depression or anxiety that were already present in the person but had not yet manifested. Also, like other alternative therapies, there is a risk that people with mental health disorders such as anxiety or depression abandon the prescribed medical treatment in each case and bet all their improvement to this technique that, although it has been shown to work in some cases, does not It is a magic solution to all problems. We return once again to the analysis of the expert Eparquio Delgado to draw a series of conclusions about mindfulness . Yes, mindfulness can be a useful tool for reducing stress and anxiety in certain people, as are many others that are used in psychological therapy. To this day we do not know if it is more or less useful than others, or in what cases, so that more well-done scientific studies are still needed , in which clearly define what are considered mindfulness techniques and evaluate the possible effect placebo. Since there are some possible negative consequences, it is important that the meditation and mindfulness sessions are always carried out by a specialist who knows how to deal with possible complications and who insists that this technique is not a substitute for other medical recommendations made by a specialist. The mindfulness in any case is a miraculous technique that will solve any problems we have, so we should always keep your expectations within reason and not trust anyone who wants to convince us otherwise, either envoviéndolo in an oriental and exotic halo, or by surrounding it with terminology associated with productivity marketing.